Established in 2006. 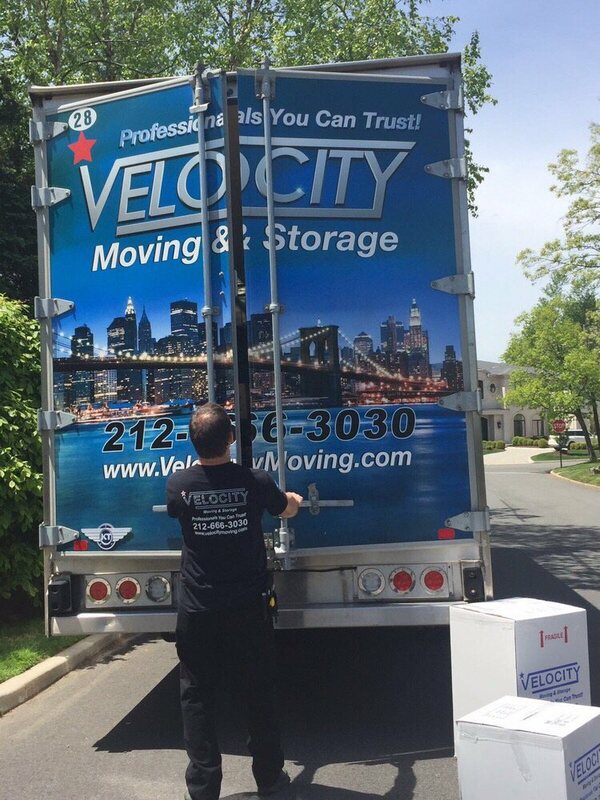 As one of the leading moving and storage NYC companies, we have built an excellent reputation among our satisfied clients who utilize our transportations and storage services. 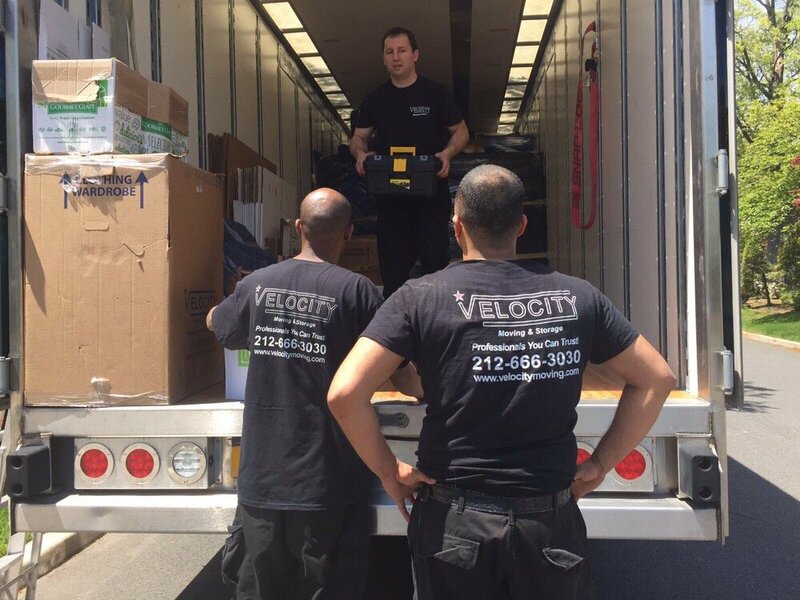 In fact, a large percentage of our business comes from client referrals!You can count on Velocity Moving and Storage NYC to handle your relocation needs from complete planning, to moving your belongings with the utmost care based upon your specific requirements.In our mind this is the best advertising!Our professional moving and relocation staff is trained to give accurate moving quotes, to help you plan your move, to move your belongings with care and to satisfy your moving needs in the exact way you expected it. 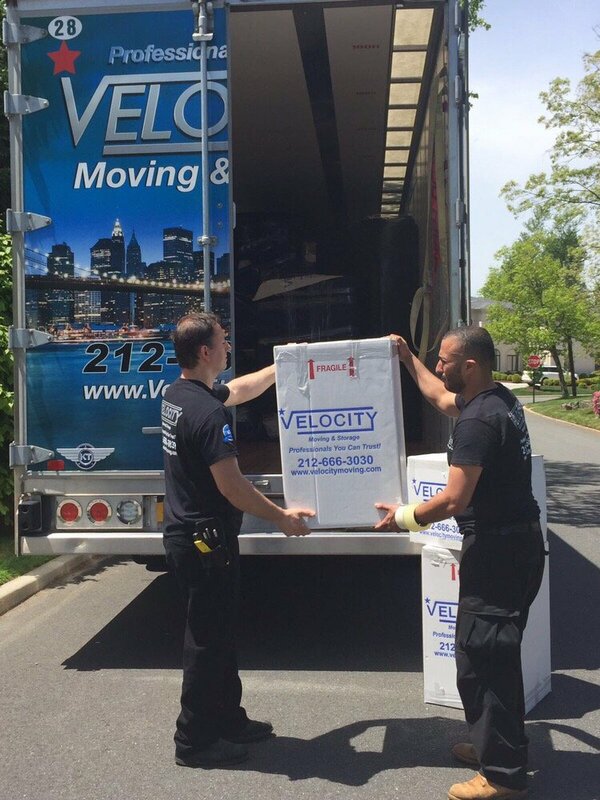 Thank you to Scott, Anthony, and Omar of Velocity for the smoothest moving experience I could ask for. 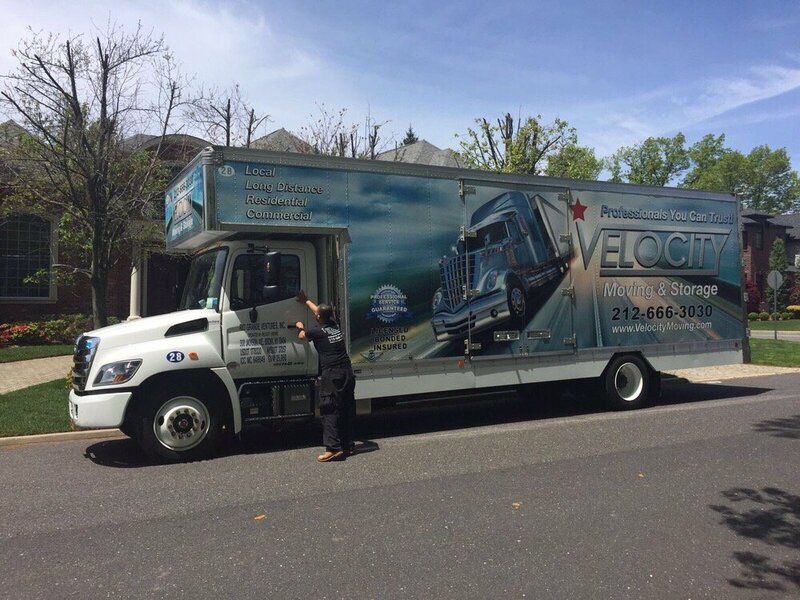 I highly recommend this company and this team and will absolutely work with them again in the future if I require moving services.Everything about working with Velocity was 5 -stars. The team provided immaculate customer service, an easy quoting and booking, careful attention to detail, and when moving day came-the most professional execution of a move I have ever witnessed. They came prepared, they communicated well, they treated each item with professionalism and care, they efficiently moved complicated pieces of furniture, mirrors, art, etc. They worked incredibly well as a team to get the job done. 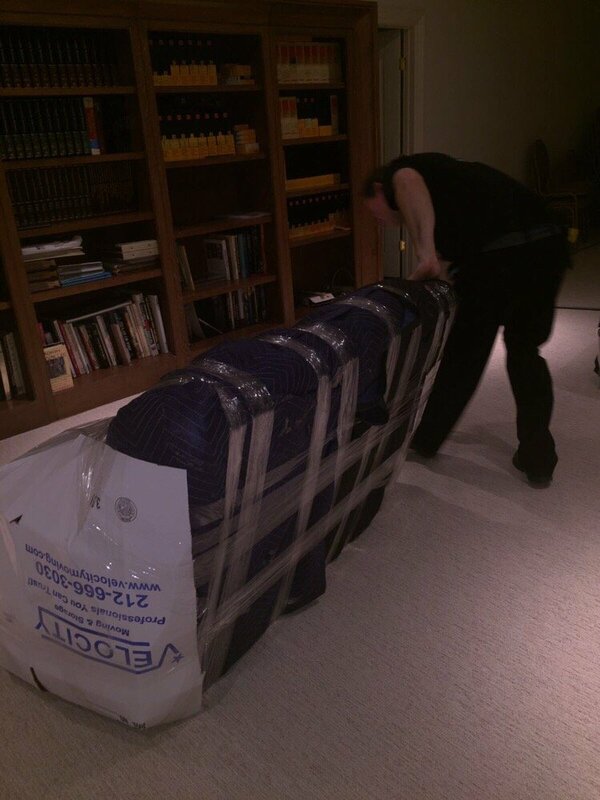 They arrived equipped with all the gear to safely move fragile pieces-- nothing was damaged in the process. Scott, Anthony, and Omar are moving heroes. I am grateful to them, and I wish them the best. Jared was very professional and friendly. They moved very fast and took care of our furniture and nothing was damaged. I highly recommend their service, ask fore Jared ;). First let me start with a calibration of I have moved many times in my life including a family of 5 to Europe for a work relocation. So to say I understand the process would be an understatement. The reason I am giving Velocity 2 stars is due to poor customer service. It is unfortunate as the work crews on both ends were very nice and component---the issues are with the main office:1) They quoted one price, and within 2 hours we were informed the rate went up $500 on the same proposal unless I wanted to wait another week for pick-up. Office staff later said "this is like airline pricing if you don't lock things in immediately"?? ?2) We paid extra to have goods picked up by the 30th to ensure they would arrive in California on time to start new job, and when trying to confirm delivery on the other end we were given misinformation and the run-around3) when speaking with the office trying to lock down when goods would arrive, I let him know that I chose Velocity due to reviews I had read on Yelp. He rudely responded in a threatening manner that "we have lawyers". Really? Is that customer service?The circus actually continued to the very end. Fortunately we got a call from the delivery driver on Wednesday saying our goods would be delivered on Friday morning (which worked out fine). Ironically, Velocity phoned us Friday morning (the delivery day) and said "goods will be delivered in a few days." Since they didn't even know goods were being delivered that day, I can only surmise that Velocity put no effort into knowing the facts on behalf of the customer. This is 2017 between email and phones, it's not hard to track and find out truly where goods are! !Maybe they are OK for same day / local moves where no coordination of storage / out-of-state transportation is required, but I would never use them again. Andrew, Anthony and Greg were my movers this morning and these guys were great - professional, down to earth, easy to work with: CAREFUL and FAST! They made me us feel at ease and we had tons of expensive/easy to break sports gear- racing bikes, skate and surf boards- they knew how to treat and move each piece. One of my boxes even exploded on me bc it wasnt properly sealed and they helped me repack it in a new box and didnt charge me for their box. MANY NYC movers will up sell and charge for every little thing -- these guys are actually HELPFUL and fair. Jarrett and his team were incredible! They helped me move from Baltimore to New Jersey in record time. They were extremely efficient and professional, and were more than I could hope for in a moving service. They carefully wrapped up all my furniture and actually saved me money by not charging extra on the day of. They were so quick and careful with my items, I will definitely be using them for my next move, and would highly recommend them to all my family and friends!!! Thank you Jarrett!!! !